You’re at home or in your office and all of a sudden you hear a thud at your window. . . Another window collision; a major cause of death for birds. 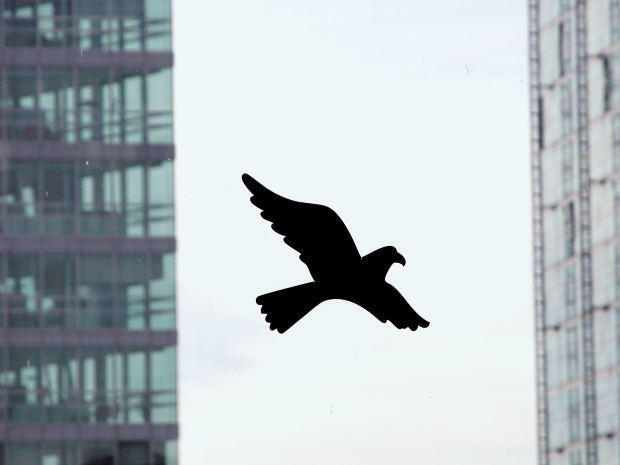 Bird kill by skyscrapers in large cities has been well documented, but not in smaller towns. That doesn’t mean it’s not a problem. Listen to the report by Robbie Harris. Becky Schneider and a flock of volunteers have been documenting bird death by window at a Blacksburg office park since last fall. Schneider works at Virginia Tech’s Conservation Management Institute, but she’s doing this project as a volunteer. She says her bird collision counters have to work fast to beat scavengers or diligent groundskeepers who quickly scoop up any vestiges of the accidents. The fledgling group started a fund raising campaign to support fellowships and provide students with Field Guides to the birds. They’d also like to experiment with new options for window deterrents to keep birds from flying into them. Deterrents for residential windows include stickers on the glass and screens to lessen the impact, but these measures are not practical for commercial use.